Merkle trees are used in both Bitcoin and Ethereum and serve as a core fundamental component in blockchain networks. A “merkle tree” is a structure that allows for the verification of transactions through use of large historical transaction data for given blockchain networks. Verifying a transaction simply means confirming the consistency and legitimacy of transactions throughout a blockchain network. An argument for improving processing speeds is the introduction of a proposed “LEVEL Tree” Validation structure. So it’s best to take an example from a project that is implementing this; FLETA. 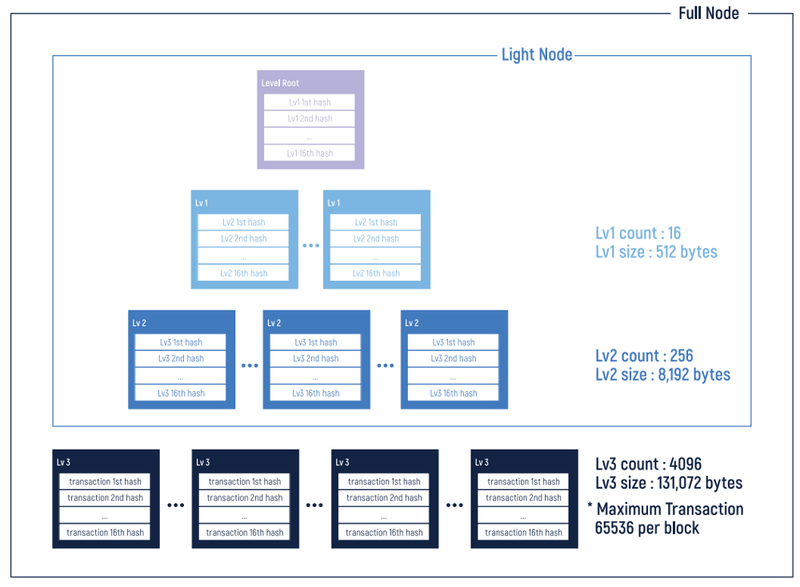 FLETA’s LEVEL Tree structure consists of three levels of clusters of 16 transactions that are hashed into one unit, where each level above represents the hashed pair of units from the level below. 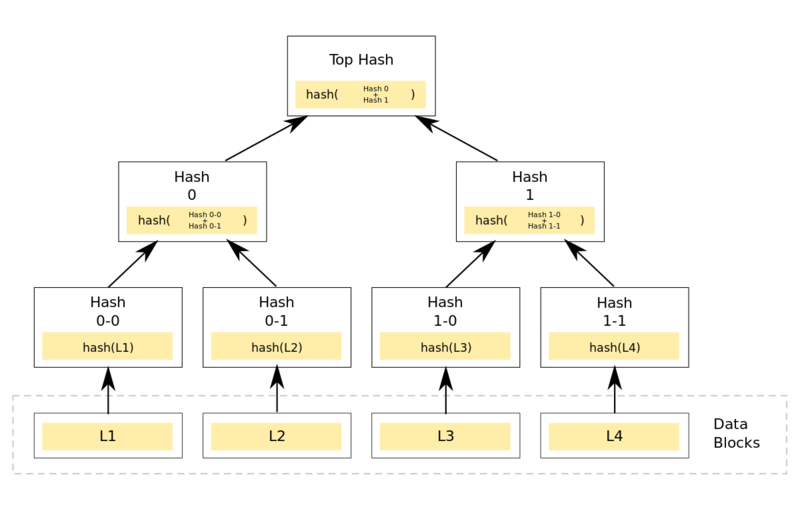 This structure offers a more efficient solution to the hashing process as each level is simplified to just 16 subunits within each cluster. This structural change requires far less data storage and computing requirements to verify transactions, meaning less resources are wasted and lower powered computing devices are able to connect to the network and act as a light node. LEVEL trees saved in light nodes include the root level, level 1, and level 2 where light nodes can request information from full nodes (all levels) when required. What are your thoughts on improving scalability on blockchain networks? Next articleIndians Lost $2.3 Billion in Remittance Payments in 2018; Can Bitcoin Help with Near-Zero Fees?